For the first time ever, you can compete for a wild card into the US Open Qualifying Tournament! 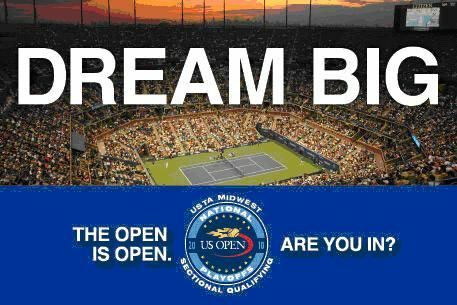 USTA Midwest is thrilled to be a part of the US Open National Playoffs and offer the opportunity for anyone 14 years of age or older who meets the eligibility requirements to play in their Sectional Qualifying Tournament for the chance to make it to the US Open. Below are the key details on their tournament. Click here for additional information on the US Open National Playoffs.